Private saltwater pool, quiet area, close to the towncenter. Beautiful garden, and lots of privacy. 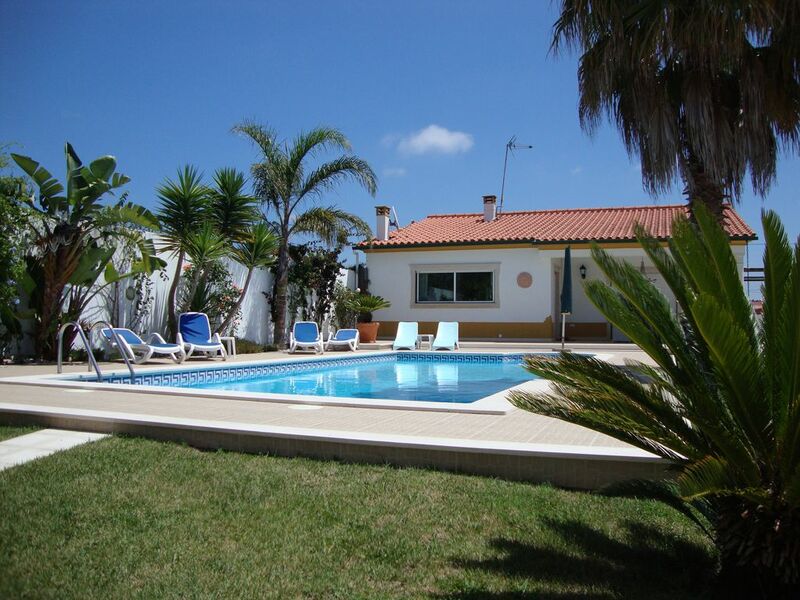 We spent a quiet and relaxing week in Casa da Palmera. The property is perfect for 5-6 people. Pool was very nice also. Owners were friendly and always available. Many thanks! Lovely accomodation within 7 km of the beach. We loved our stay at Casa Palmera. The property was clean and very well equipped with a nice pool. It was also very private. It is a few minutes walk from the local café bar and small grocery shop. The house is perfect, we spend there 2 weeks with kids aged 10 & 13. They loved the swimming pool. Careful with younger children : pool has no safety device. It is located about 6km away from the beach, but pretty far from other touristic sites (45mn / 1 h drive). However, we really enjoyed our stay and recommand it to people looking for a calm atmosphere. The owners are nice and not intrusive. "very nice and comfortable house, all necessary equipment, kitchen equipped perfect. Very helpful owners"
Agréable séjour Sublime confort dans un cadre majestueux. Propriétaires Charmants et très serviables avec discrétion absolue. We had a great holiday at "Casa Palmera". The house is comfortable and very spacious. The pool is very beautiful and the environment very quiet. The owners are extremely nice and always available. Finally, Coimbrao is ideally placed to visit the most beautiful sites of Portugal: Nazaré, Coimbra, Batalha, Alcobaça and Obidos. We highly recommend Casa Palmera.